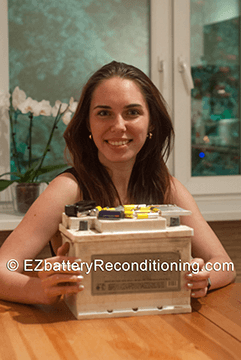 And it doesn’t matter if you’re not technical or don’t know the first thing about batteries... because our course is designed for beginners and is incredibly easy to follow. 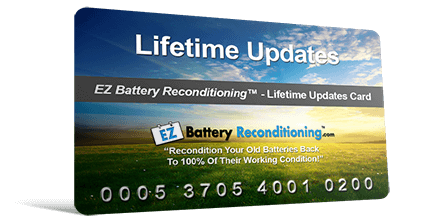 *Testimonial Disclaimer: The testimonials above are real and were written by people who actually used EZ Battery Reconditioning. Please take into consideration that these testimonials do not necessarily represent typical results and are based on the user's opinion. 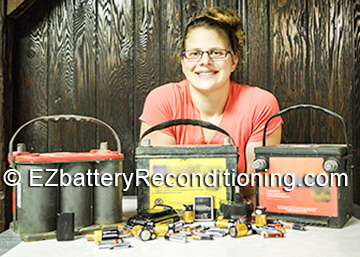 Results may vary due to differences in a battery's condition, history, and other factors. 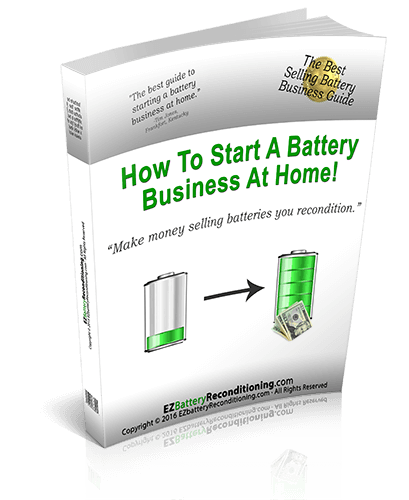 Frank will walk you through everything, step-by-step, so you know exactly where to get old batteries for free, how to recondition them, and then how to sell them for nice profits! 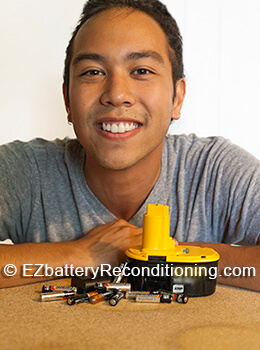 We spill all of our tips and methods that will let you increase the life of your batteries! 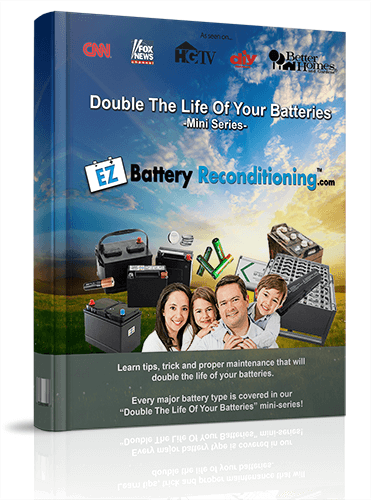 ...And once your batteries do eventually die, you can then recondition them back to working condition again with the EZ Battery Reconditioning™ guides. 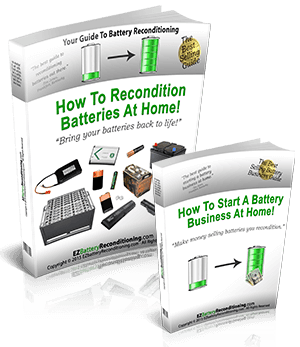 So if there's a new type of battery out there, we will learn how to recondition it! It’s completely yours, and you can be using it all in as little as two minutes from right now. 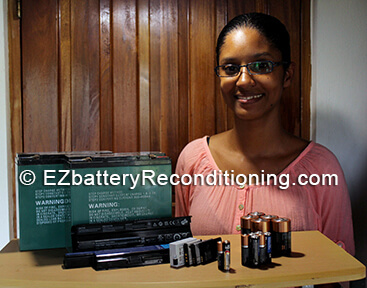 And within the next hour, you can already recondition one or two old batteries you have lying around. You can save a lot of money this year alone on battery costs …and even more over your lifetime. 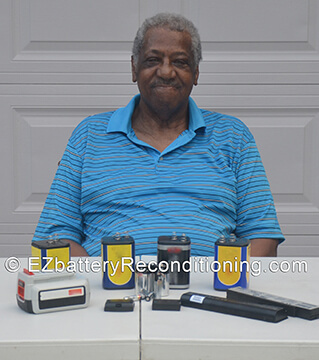 Yes, our methods can really help improve a battery’s lifespan and performance. But obviously, just getting our program won’t make your batteries come back to life magically! 😉 You’ll actually have to use the step-by-step methods we show you in our program. The methods are simple and quick, and we’ve designed our program for beginners. 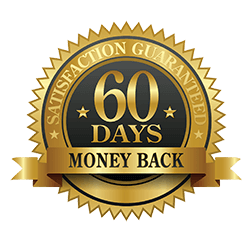 And here’s what else… we’re also giving you a 60 Day, Money Back Guarantee. 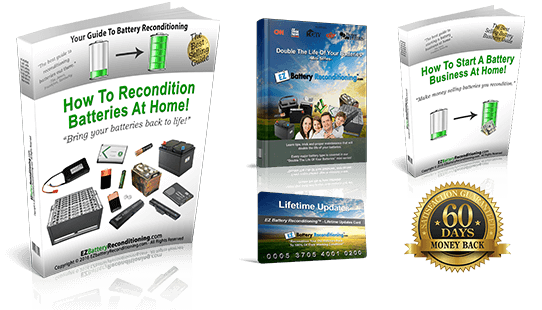 So you can try out the program (completely risk free) and get a full refund if it doesn’t work for you and your batteries! 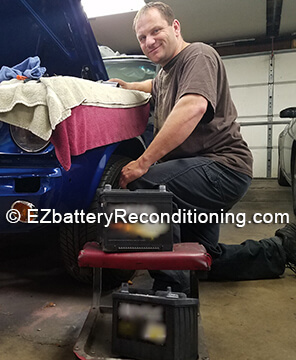 DISCLAIMER: Please take into consideration that the EZ Battery Reconditioning results may vary due to differences in a battery's condition, history, and other factors. The information contained in this site is provided for informational purposes only, and should not be construed as advice on any subject matter. You should not act or refrain from acting on the basis of any content included in this site without seeking professional advice. Reliance on any information provided by this site and others appearing on the site is solely at your own risk. The site and its contents are provided on an "as is" basis. ClickBank is the retailer of products on this site. CLICKBANK® is a registered trademark of Click Sales Inc., a Delaware corporation located at 1444 S. Entertainment Ave., Suite 410 Boise, ID 83709, USA and used by permission. ClickBank’s role as retailer does not constitute an endorsement, approval or review of these products or any claim, statement or opinion used in promotion of these products.